I have a crazy idea – let’s remove color from design! No, I’m not talking about designing in black and white. I believe we should take color out of the equation, completely. Because it is quite irrelevant. No, no, no, hear me out. I’m talking about the early stages of a project and everything that comes before visual design. That is when we need to forget color exists. This will allow us to focus on what’s really important: Crafting an engaging experience while solving problems for people. So we need to focus first and foremost on the user and the content, not the design. Visual design is important, yes, but it’s only one piece of the puzzle. We ultimately want to achieve IMPACT. I argue that a visually beautiful website isn’t really worth the pixels it occupies on the web, if it isn’t usable, useful and speaks to it’s audience. 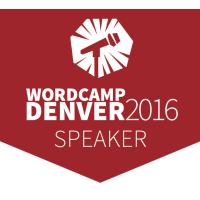 I was honored to be invited to speak at WordCamp Denver for CritiquePress. I’ve shared the stage with the amazing Meg Delagrange, a local designer extraordinaire. We’ve given valuable real-time feedback for designs that have been submitted in advance in a hybrid town-hall / panel discussion format. I understand that getting your website or the design you’ve created critiqued can make you feel vulnerable. Especially in front of an audience. I however believe it’s important to share your work and get feedback. There is always something that can be improved. Sometimes the smallest change can have the biggest impact. As designers we sometimes tend to be perfectionists. But perfect is the enemy of done. Websites are a living thing, it’s better to iterate as content grows. Over time we learn more about our audience and how they interact with the website. It’s always recommend to ship early and continue to iterate. Meg and I critique each website based on the following categories: User Flow, Storytelling, Layout, and Accessibility. Why aren’t you asking Questions? Slides of presentation can be found on Speakerdeck. My travels over the past year and a half have taken me to many beautiful places. One of those incredible places was Colorado. I’m excited to return and meet the local WordPress community. I’ll be on a Design panel with the wonderful Meg Delagrange. We will be reviewing websites and give constructive and actionable feedback on how to improve the User Experience and Design of a website. This will give you an insight in how we approach projects, solve problems for the user, and help clients to better connect to their audience. 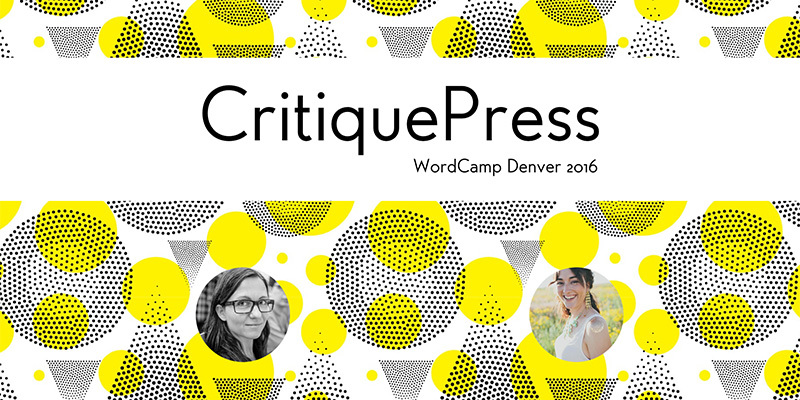 Join us at WordCamp Denver November 5-6 and submit your site for review during CritiquePress. I’m going to tell you why you should care about WordPress Translations, even if you don’t speak any other languages besides English. Today WordPress powers 26% of the Internet. It is now a teenager and has been growing constantly over the past 13 years. It was created here in the U.S., so it’s “native” language is English. But for a CMS to grow globally, English is not enough. So how many languages does WordPress speak? Four years ago I was working in New York on a project. It was a strategy project for a big media company. They got 10,000 visitors a day. Whereas all my previous projects would get 1,000 hits a day or less. So it was 10 times bigger than anything I’ve ever worked on. I always enjoy meeting new people and catching up with good friends in the European WordPress community. 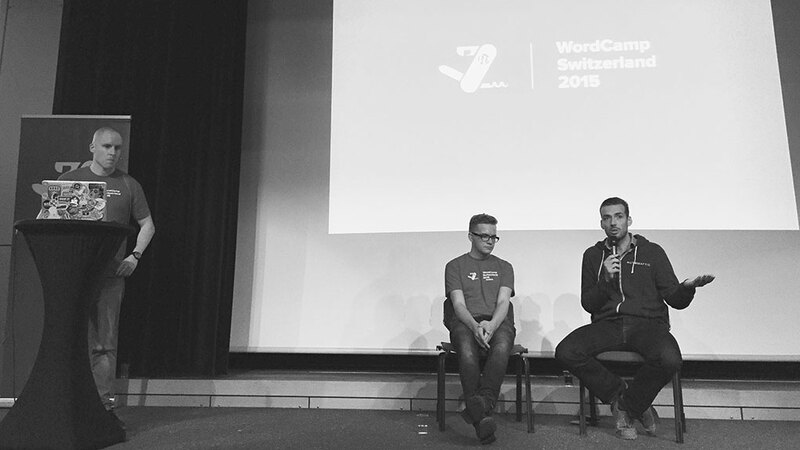 This past weekend I went to WordCamp Switzerland, a very well-organized, fun WordCamp. The single-track lineup, a mix of full sessions and lightning talks, was excellent, for one because the selection of topics was diverse and more so because all speakers shared their personal experiences on the topic they spoke about. The event venue was setup perfectly to connect with many of the 200 attendees in between sessions and during breaks. I had the pleasure to speak at the event and share my experiences working remotely as a WordPress freelancer. I shared reasons why I love working remotely and the challenges it come with. How I stay motivated and find community. You can find my slides on Speaker Deck. A huge thank you to all the organizers (Karin, Silvan, Noel, Andrew, Pascal, and the rest of the amazing team), the volunteers and sponsors for putting together such an amazing event and fun after-party!! 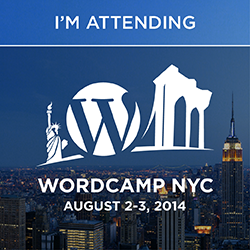 WordCamp New York City is only a few weeks away and we’re busy with the final organizing stages of the event. We were very excited to announce an amazing line up of speakers and Saturday’s and Sunday’s schedule. We are also planning a Contributor Day Friday! Make sure to sign up and join us in making WordPress even more awesome! If you don’t have a ticket yet, make sure to get your ticket soon! We’re selling out fast! I attended WordCamp Seattle for the first time this year and the local community is thriving! I met many talented new people and a lot of friends. 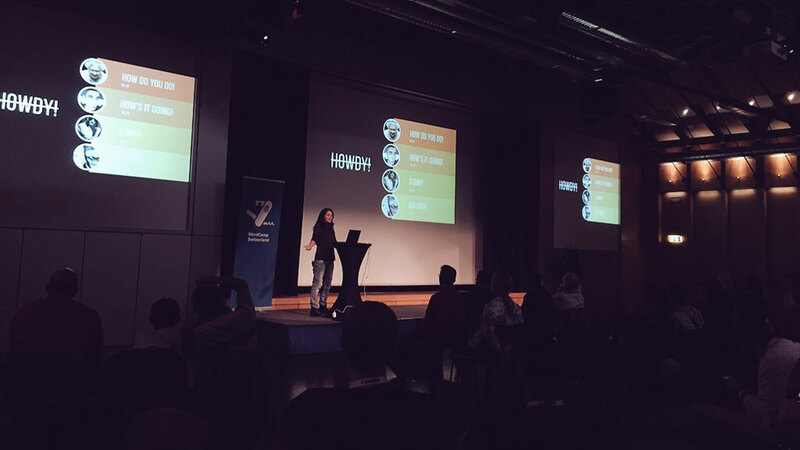 I had a great time speaking about User Experience best practices in front of such a great audience! Thanks everyone again for attending and asking many questions! Description: Boost the User Experience of your website with these easy-to-follow, real-world examples and best practices! Don’t abandon the project after launch – analyze and iterate to improve the UI and usability of any website.